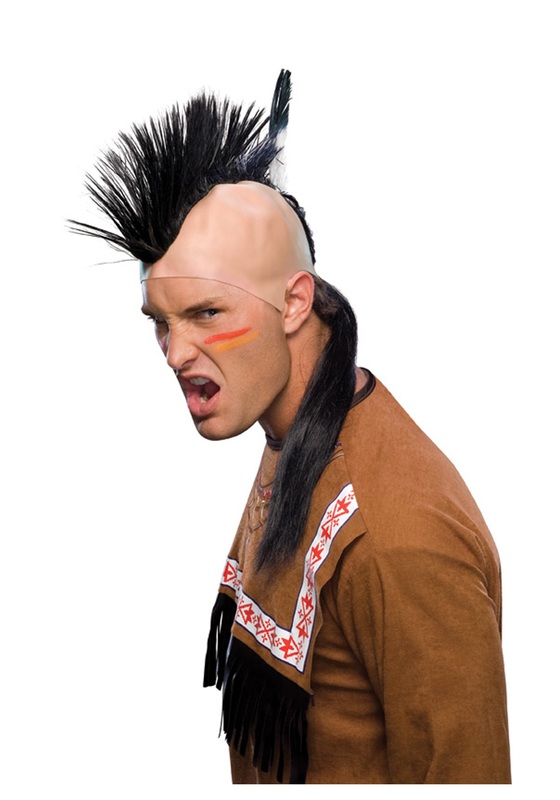 This tough hairstyle has been rocked throughout history and around the world to show the prowess of warriors. Recently, a man with a mohawk was found, preserved in a bog near Dublin. There were some pretty tough dudes in Siberia around 300 B.C. who sported this hard edge hair style. This particular wig is inspired by the namesake of the Mohawk, the Mohicans or the Pawnee. This style, of course, still rocks on in modern times. Girls in the underground jazz scene in the 50's used this hairstyle to stick it to the man. We'd really be out of it if we forgot those gnarly mohawks from the punk rock 80's and 90's. However, if you want to rock this hair style you've got to be fearless when it comes to pulling it off. It's no wonder that this hairstyle shows up around the world in all different eras. Nothing says you're tough quite like straight up spikes of hair down an otherwise bald head.